Things you need to know before buying travel medical insurance. 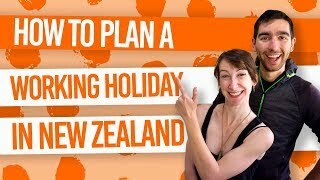 Having proper medical and travel insurance is mandatory when holding a working holiday visa for New Zealand. Most cover includes some but not all of those points. Here is the list of questions you may want to ask your insurer before purchasing your insurance. 1. Where is the insurance company based? 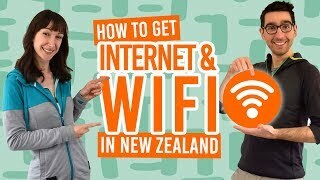 A company based in New Zealand will be able to help you much more efficiently in an emergency than one based in your home country. 2. Who is the underwriting company and are they licensed? This is an obvious one, New Zealand companies have to be registered and display the underwriter rating. If they don’t, something is fishy. 3. How does the policy define a pre-existing condition? Pre-existing conditions are usually excluded from your cover or covered at extra costs. Check if that applies to you. 4. Will a pre-existing condition affect your coverage? If you do have a pre-existing condition listed in your policy wordings, check how much it will affect your cover. 5. Are there any medical exclusions that apply to you? Some companies may excuse certain procedures, situations or diseases from their coverage, check if any of the exclusions apply to you. 6. Will you have to pay a deductible / excess? If so, how much? An excess or deductible is the amount of money per claim that is to be paid by you. Most insurances have one. To help you understand this more, we have put together this guide to Medical and Travel Insurance for New Zealand. 7. What is the insurance company’s procedure for handling claims? This process will have to be made during a stressful situation; you are better off knowing the process beforehand. 8. Do you need approval from the company before seeking medical treatment? Ask about the process of getting treatment, so in case of emergency you are prepared. 9. Will the insurance company pay the hospital or physician directly? In some cases you may have to pay the full amount yourself and then be reimbursed later by the company. 10. Does the company offering the policy provide a free, 24-hour helpline that you can call in an emergency? It sounds simple but some of them don’t. 11. Does the policy exclude any sports or activities you plan to do on your trip? New Zealand offers plenty of awesome activities. The most extreme of them are not covered by your policy but the activity provider’s insurance. 12. What if you want to stay away longer than originally planned? Can you extend your policy to cover me for the extra time you are in New Zealand, and how do you make the necessary arrangements? 13. Once you have signed a policy, can any further changes be made at the insurance company’s discretion without advising you? For example, can the company revise the policy later and reduce your coverage. 14. When does coverage begin and end? Some insurances will cover from the day you are leaving your home country, during the whole transit, and then in New Zealand. OrbitProtect covers you in transit, meaning you can take trips to those nearby Pacific islands and be covered! Where to get cheap and trusted travel insurance for a working holiday? Now you know what questions to ask when looking for travel medical insurance, it’s time to start asking! 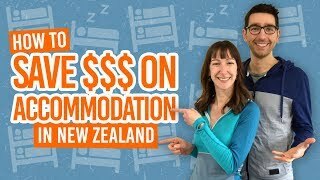 Travellers who want property covers (Experience NZ). Plus! Don’t forget to check out our article: 6 Reasons to Get Medical and Travel Insurance.